DETROIT -- Volkswagen has more than just an SUV offensive planned as the company considers adding -- and deleting -- some models in its U.S. lineup. 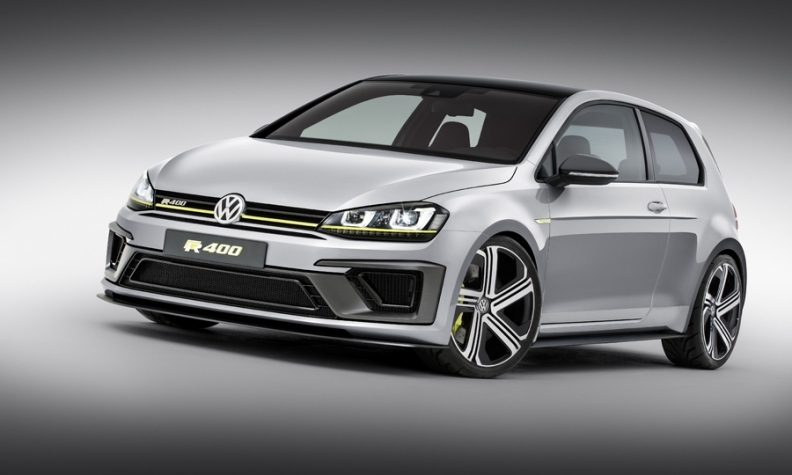 Volkswagen executives indicate that a new VW van and high-performance Golf hatchback may be sold in the U.S.
Hans-Jakob Neusser, VW’s development chief, said at the Detroit auto show last week that the company was close to deciding whether to produce the Golf R400, a concept shown at the Beijing auto show in April with 395hp and 0-60 mph acceleration of under 4 seconds. “We are just in front of the decision to do it or not, but I personally think that we have good conditions to do it,” Neusser said. Michael Horn, CEO of Volkswagen of America, said the company is also studying the feasibility of a new van for the U.S. market. Horn says one option could be the next-generation Crafter, a commercial van now based on the Mercedes-Benz Sprinter that Daimler has made for Volkswagen under a deal that ends next year. VW will build a new Crafter in a new factory in Poland. Another candidate could be the Caddy, a small van based on the version of VW’s MQB platform that underpins compact vehicles including the Golf. “We’re studying this, and personally I believe we should do something based on the technology which we already have in this market,” Horn told reporters during a roundtable at the Detroit auto show. If they get the green light, those products would likely dovetail a crossover and SUV offensive that VW has planned to fuel growth in the U.S. market, a key priority in the group’s global strategy. Leading that offensive will be a U.S.-built midsize crossover arriving in the first quarter of 2017, followed by a long-wheelbase redesigned Tiguan compact crossover in the second quarter. Those vehicles are VW’s top priority, but the surge in SUV and crossover sales in the U.S., in addition to new entries in the subcompact crossover segment, indicates that the market would support additional entries from Volkswagen, Horn said. But some products may face the chopping block. The VW Eos, a small convertible that generated sales of just 3,411 units last year -- less than 1 percent of VW’s 2014 U.S. sales -- looks to be high on the list.